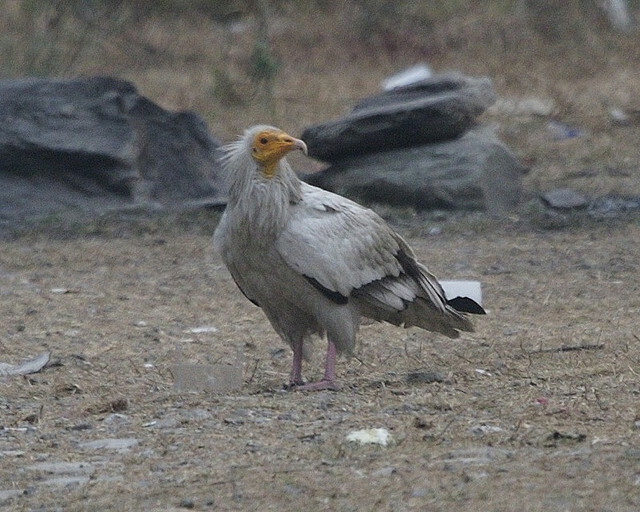 The Egyptian Vulture is a relatively small vulture, the size of a hawk, often found in rubbish dumps. 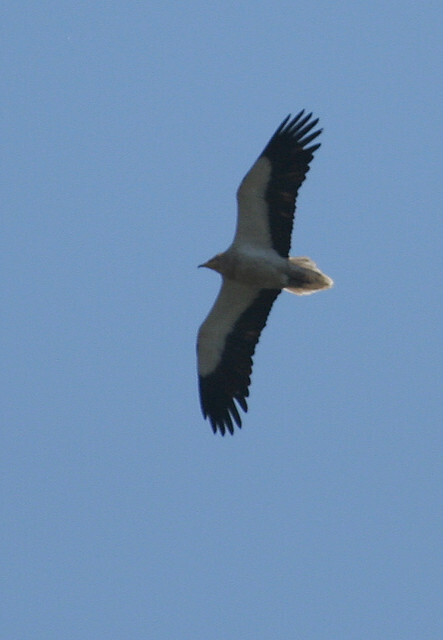 The Egyptian Vulture breeds in Southern Europe. Typical are the white plumage and the wedge-shaped tail.